Our fundraising concert is literally right around the corner and after a year of planning, hard work and preparation, the bands will begin their sound checks and the doors to the venue will open. 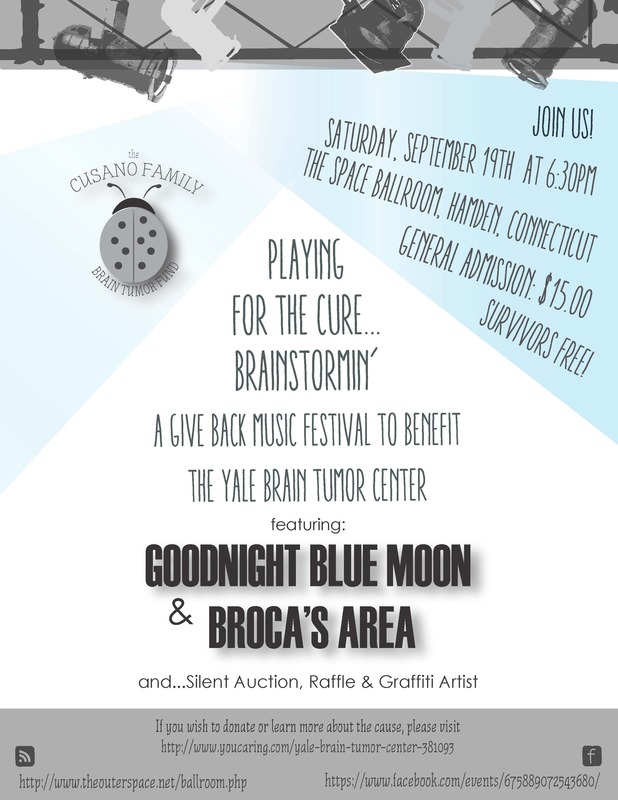 It will be, I am confident, another tremendous give back Playing for the Cure: Brainstormin’ music festival. Between now and then, I have one job – to continue to advocate for this event and encourage all of you to join my family and I on this special evening. When I think about how all of this came to be and the reason that this concert is taking place, I think back to where I was in my life at the time I was diagnosed: I had just moved back home after my first year of law school with the hopes of eventually landing a job in government relations. I enjoyed the challenges and the grind of working alongside my team the previous summer and educating the legislators on the important issues they were faced with. However, none of this went as planned due to my situation. Yet, over the past year, I have begun involving myself in these types of activities and taking a leadership role for issues I care about, namely becoming more involved with the brain tumor community. 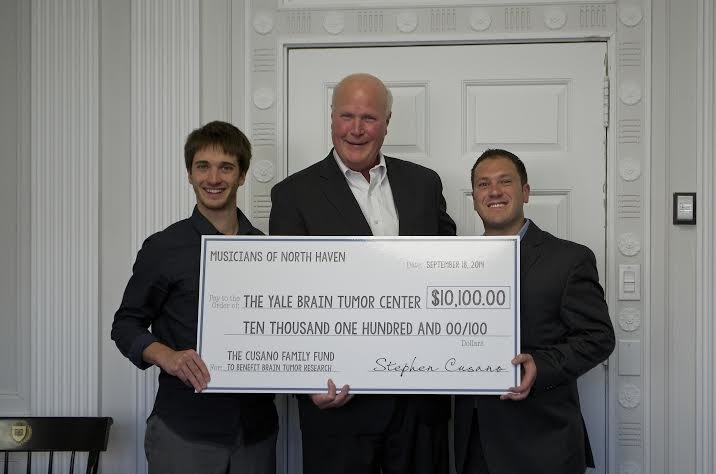 I have started The Cusano Family Brain Tumor Fund to provide support to the doctors and researchers at the Yale Brain Tumor Center and am a Director of the CT Brain Tumor Alliance. Being a part of these two groups offers me the opportunity to do exactly what an advocate of the brain tumor community does – raise awareness. Last year, when we held our concert, none of us knew what to expect as it was our first go at this and we were entering uncharted territories. But the response was overwhelming and appreciated by everyone who supported and attended the concert. This year, we set the expectations higher. Our goal surpasses what we gave last year and we remain optimistic that we will present a larger check than what we wrote last year. What else can I tell you? We have tremendous raffle prizes including football tickets, gift baskets, gift cards to restaurants, a gift card for pistol permit classes, a men’s and women’s watch and the grand prize, a 2015 VIP50, 49cc, 4 stroke engine street scooter valued at over $1,000 , just to name a few. And if you’re unable to attend but wish to support our efforts, any little bit will go a long way. I hope to see all of my followers there and look forward to meeting new faces for a great cause!